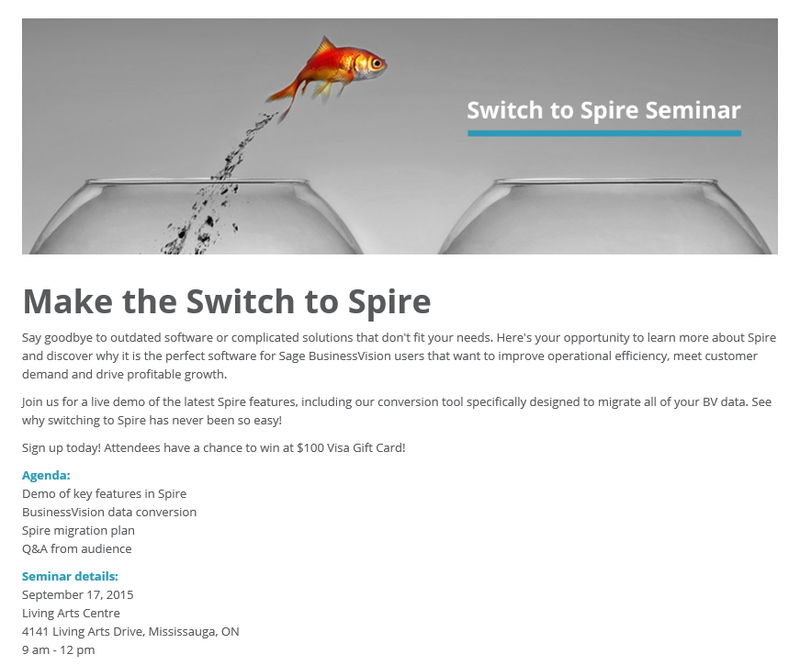 Spire 1.1 was released in July and included Payroll, POS, and batches for Accounts Payable. The seminar will include brief updates from third party developers who have worked with the API already. Service Manager and Custom Fields (the replacement for Workbook) are next up. Feel free to send as many staff as you like to give everyone a chance to become familiar with the flexible Spire interface. This entry was posted in Spire and tagged Spire by InSpired Consulting Services. Bookmark the permalink.